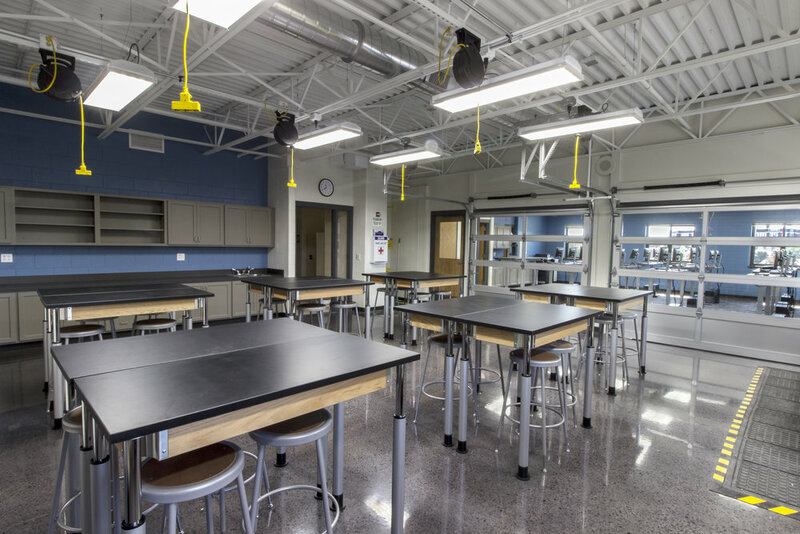 This project creates a middle school STEM Lab which can be subdivided with glass overhead garage doors into a work area (with dust & fume removal systems) and a computer lab that can also serve as a regular classroom. 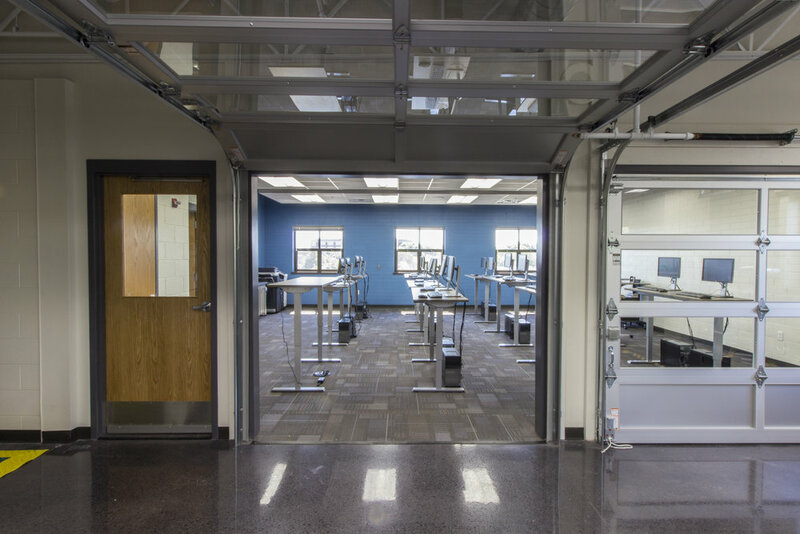 Glass overhead doors provide flexible separation of the spaces while maintaining observation and supervision. The perimeter walls around the STEM rooms were extended above the ceilings to provide acoustical separation from the surrounding classrooms. The most visible aspect of this remodeling is the new window in the corridor wall that allows the STEM Lab to show-off its exciting curriculum to the younger students in the school. 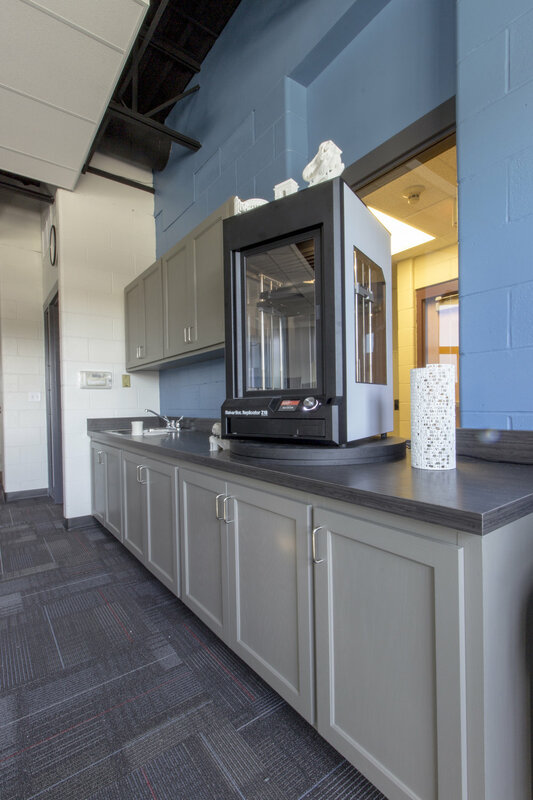 Prominently located in this display window is the lab’s 3-D printer on a custom designed turntable to allow both access from within the lab and display to the rest of the school.